What is MTH DCS and Protosound 2 or 3? 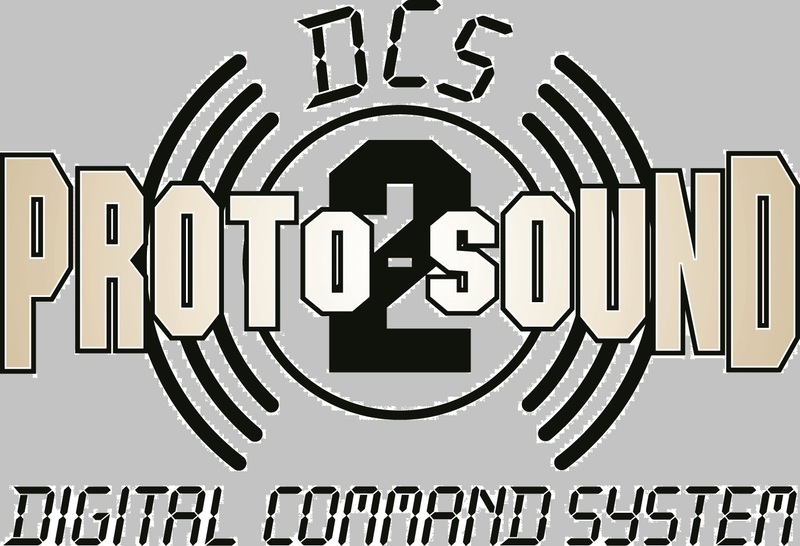 What exactly is MTH DCS and Protosound 2 or 3? - Safe to use with all DCC Stations as they output NMRA-spec power regardless of the input power type. 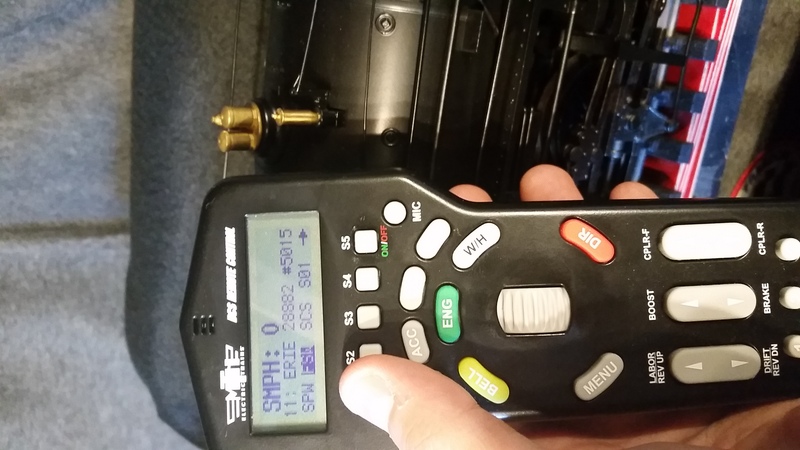 The DCS remote is a wireless handheld remote that you use to control your trains. 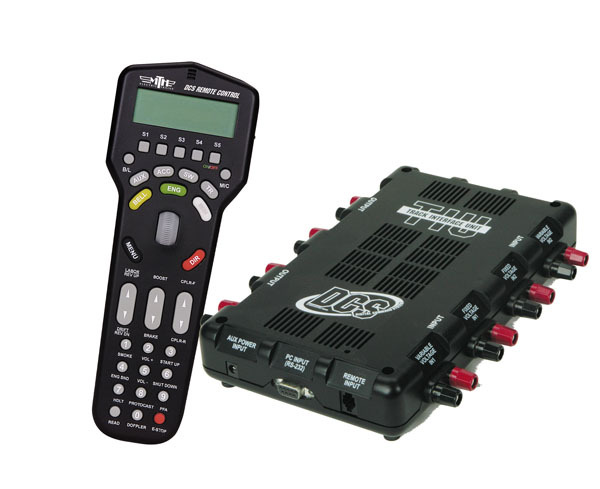 The TIU is the main electronics box that goes between the power supply and track that takes commands from the Remote and converts them to a digital signal that is added to the power going to the track. (Remote and TIU cost ~$309.00) A Wi-Fi interface unit (WIU) is now available that can replace (or be used together with) your MTH DCS remote and allows you to run your trains with any Android or iOS device. 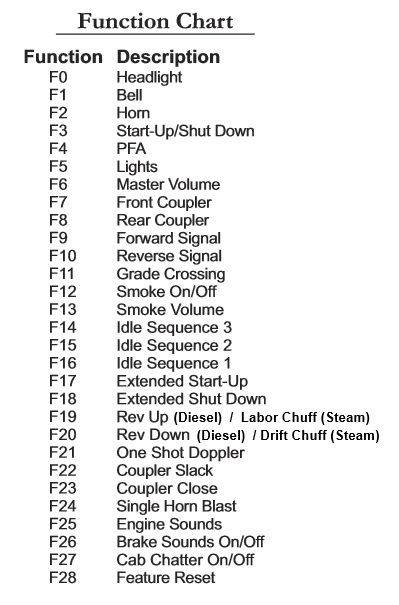 (Note: The old original Protosound 1 equipped engines cannot be controlled with the Remote and TIU). 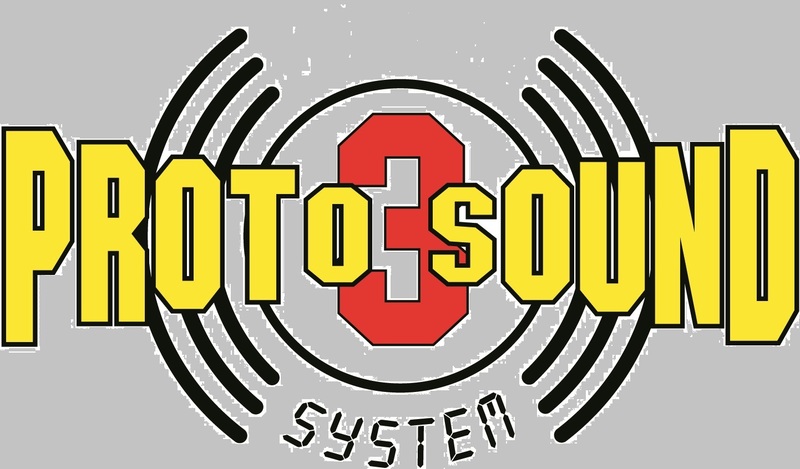 Protosound 3: (O gauge, S, One Gauge/G scale, HO, Upgrade kit boards) Newest version of Protosound available and is controllable with all versions of the DCS remote & TIU. Protosound 3E+ engines are for 3 rail HO track only and will not operate on 2 rail track. Protosound 2 and 3 boards can run under both AC or DC power and under either variable track voltage (for analog control without remote&TIU) or under constant track voltage with Remote and TIU. 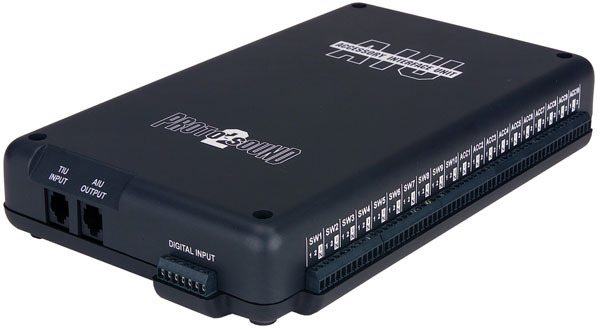 This is the device that you connect to the track/layout and use a power supply of your choice to provide track power to your trains. 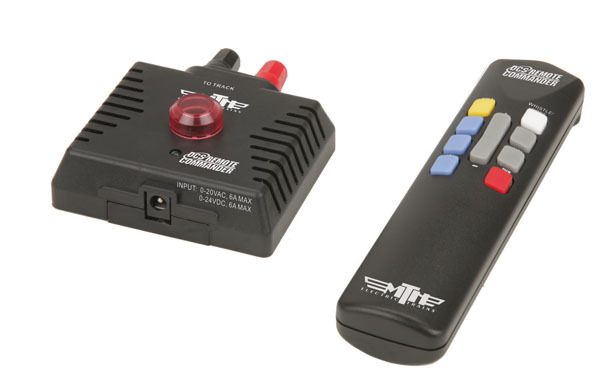 The wireless handheld remote communicates user commands wirelessly to&from the TIU and the TIU communicates with engines on the layout via signals sent through the track rails. 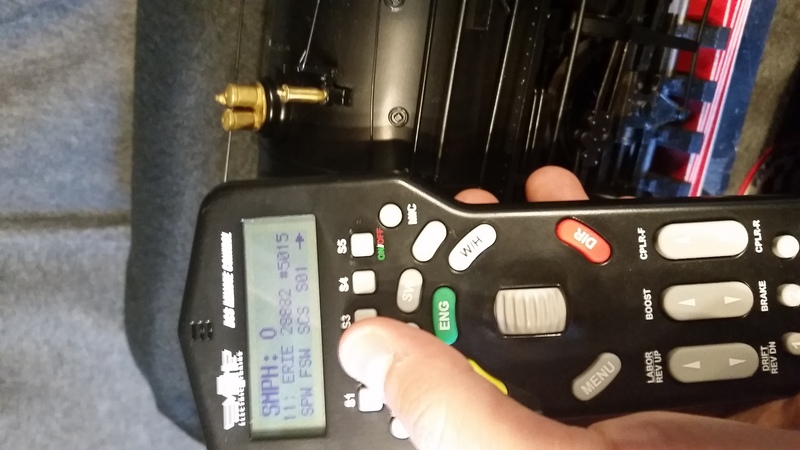 This is the wireless handheld remote that you use to control your Protosound 2 or 3 equipped engines. 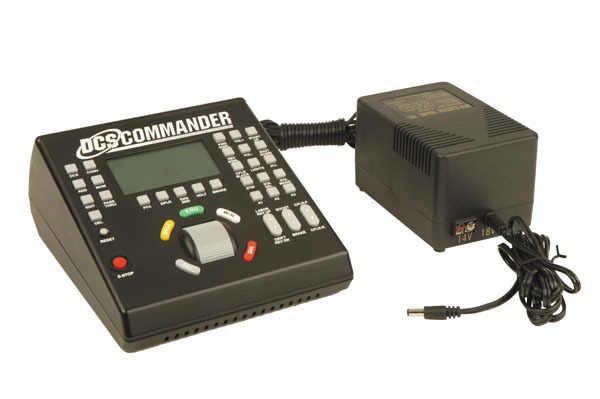 The DCS remote communicates user commands wirelessly with the TIU and the TIU communicates with engines on the layout via signals sent through the track rails. 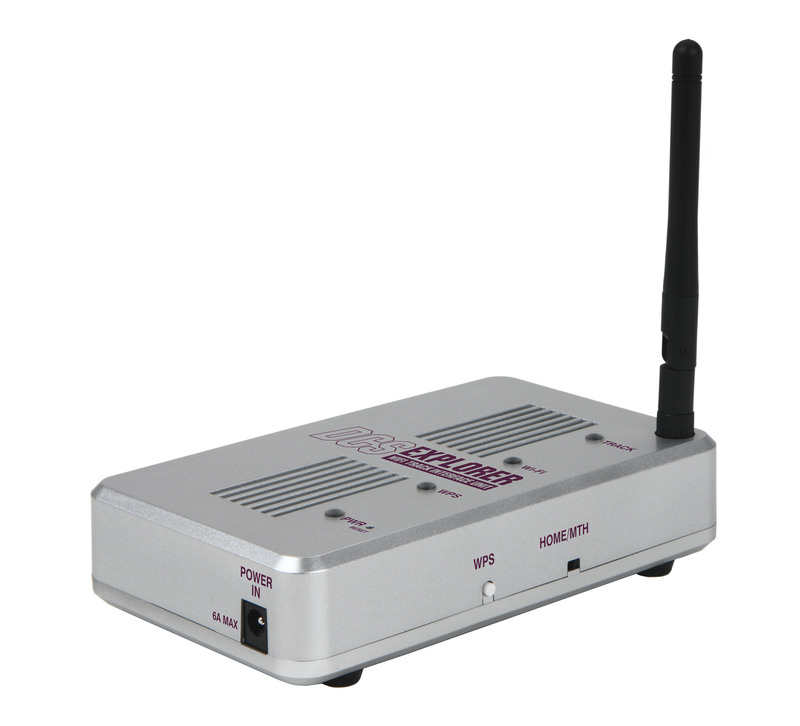 AIU is an optional device used to control track accessories, switches/turn-outs, lights, etc with the DCS Wireless Remote. This is an optional device that allows you to control your Protosound 2 or 3 equipped engines with an Android or iOS(Apple) phone or tablet. 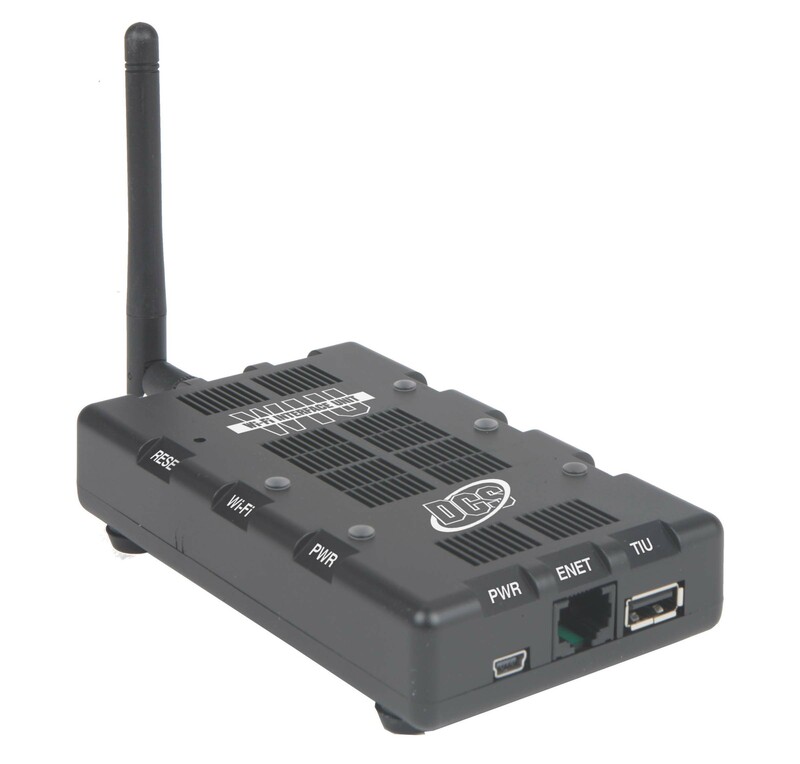 Can use this Wi-Fi device instead of the DCS Wireless Remote. Both can be used at the same time. This is a stand-alone device that a mini-TIU and WIU built into one that let's you control your Protosound 2 or 3 equipped engines with an Android or iOS(Apple) phone or tablet. 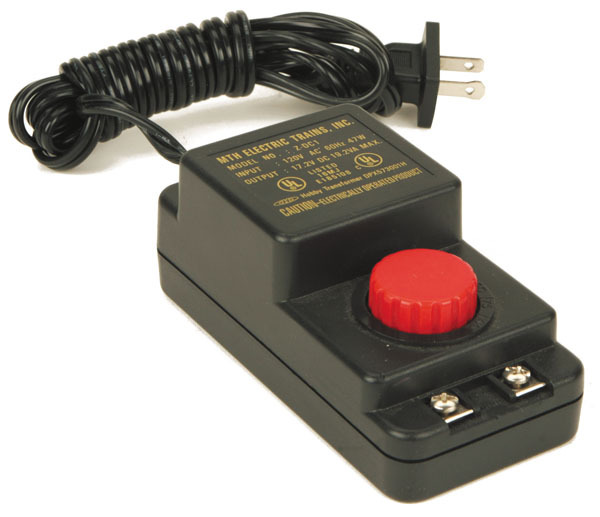 Need to have AC or DC power supply (0-22VAC or 0-24VDC) with the pictured round power plug. Has more limited functionality and limited number of engines that can be added to the App and is intended to be for starter sets and small simple layouts. This is a lower cost option to buying the full TIU, Remote and Power supply setup with most of the same operating/control features as TIU and Remote. 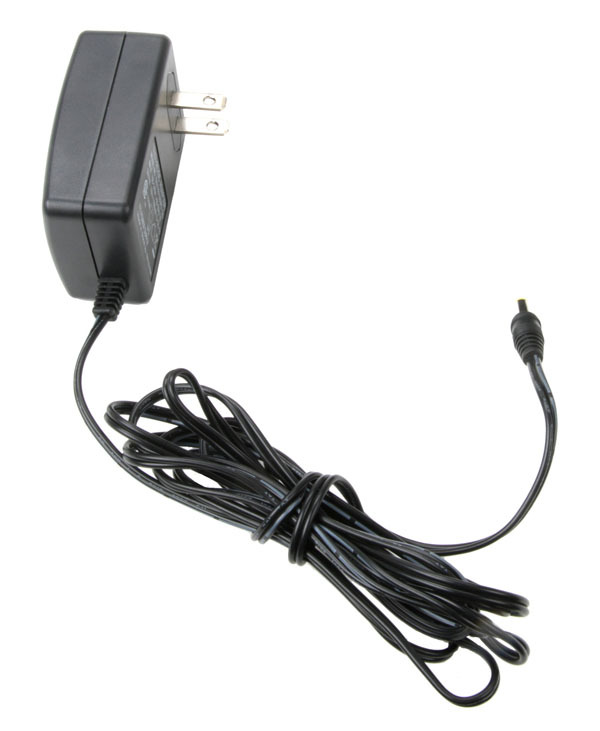 It is available with or without power supply. If you plan to run a small limited setup this is a good cost effective option. 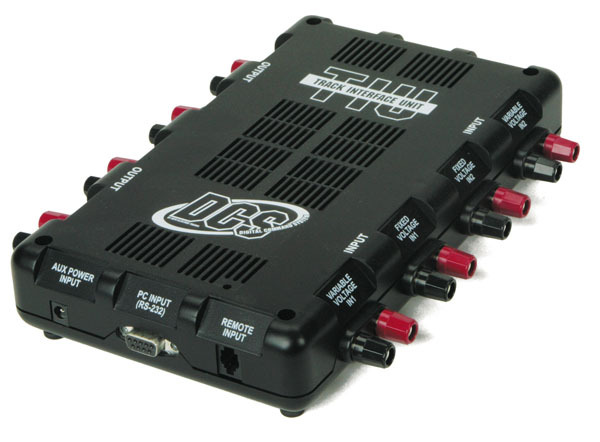 Generally I recommend purchasing the full DCS set with TIU and Remote for full future scalability. To review features available, see the Owners Manual. This is intended to run a single engine on small indoor displays. NOTE: This set will control any engine new from the factory. 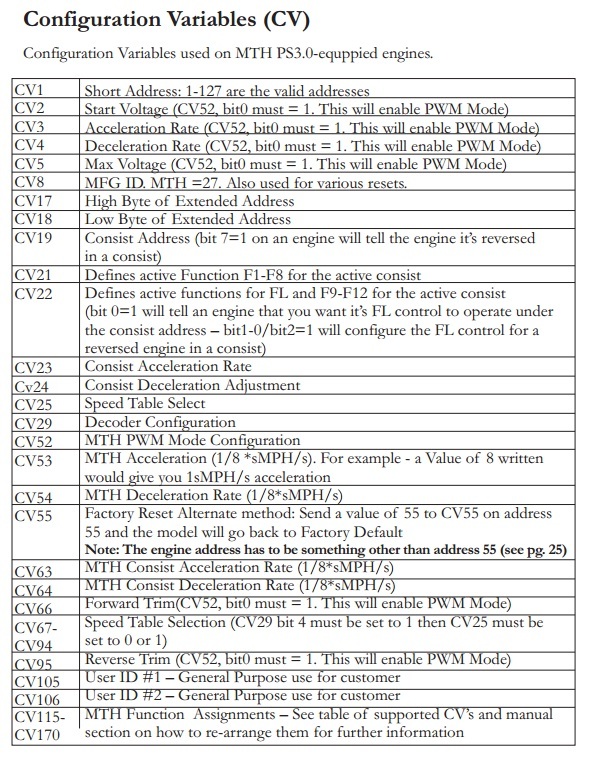 Once you 'add' an engine to a DCS TIU/Remote or Commander set, the engine will need to have a 'Factory Reset' performed on it in order to reset the engine address to '0'. This reset can be performed with full DCS Remote Control set (TIU/Remote) or WIU(wifi) or DCS Commander. 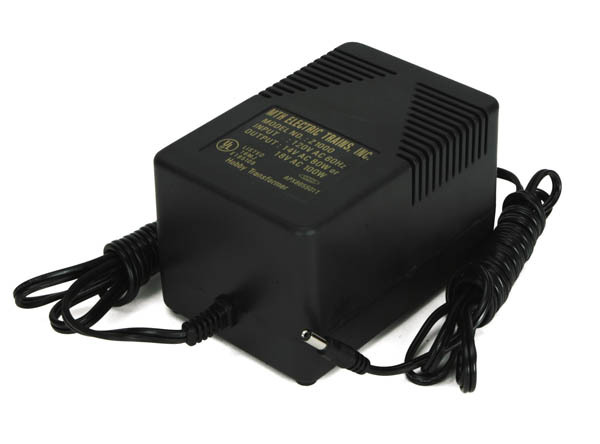 Provides 18v AC power @ 100watts for trains / 14v AC power @80watts for accessories. MTH is unique in being the only manufacturer to produce a proper up-sized smoke unit specifically for G scale/One Gauge engines. These units are many times larger with larger fluid reservoir, fan impeller and fan motor which provides significantly better smoke output which can actually be safely maintained over long periods of time. Smoke units in all other G scale engines are O gauge sized units (like USA Trains, Aristocraft, etc). Why consider MTH DCS and Protosound 2/3? All factory MTH locomotives come already fully installed with sound, lights, smoke and advanced digital control right out of the box. Just put on the track and go. Note: PS3 kits which have DCC compatibility is coming soon. Note: All production MTH One Gauge engines prior to 2013 had PS2 installed, but all 2013 and after will have PS3 which has full DCC compatibility. Sound & Sound Quality: Sounds excellent and has a wide number of sound options available. 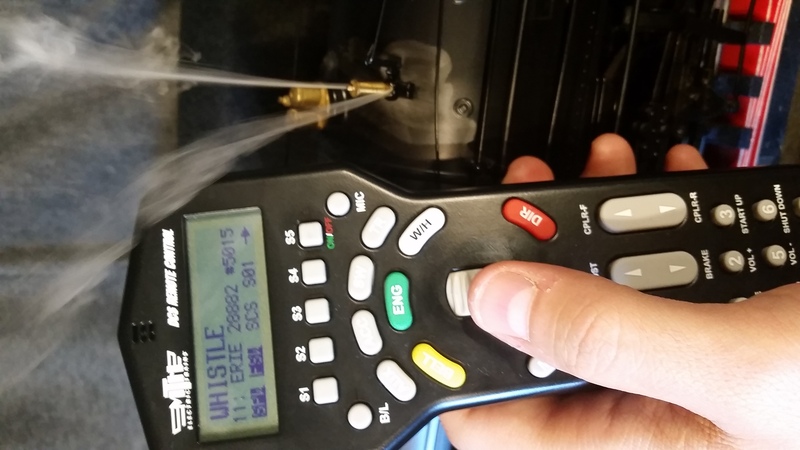 Smoke system: Best on the market and is always perfectly synchronized with sound chuffs because of the use of an optical reader and is always 100% accurate unlike magnet or mechanical activated chuff triggers in other systems. See sample videos on my videos page. User experience: For me this is where DCS stands out... it completely changes the user experience of running trains all through your remote. 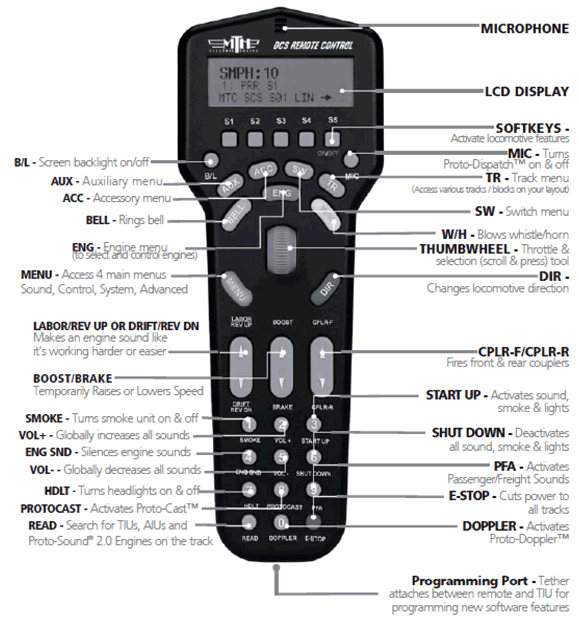 Of all the other remotes/systems I've used, it's the most user friendly I've seen out there. The remotes for most control systems are populated with simple numbers and direction arrows with no indication of what they're used for and on screen display indicator are either simple LEDs or are cryptic. 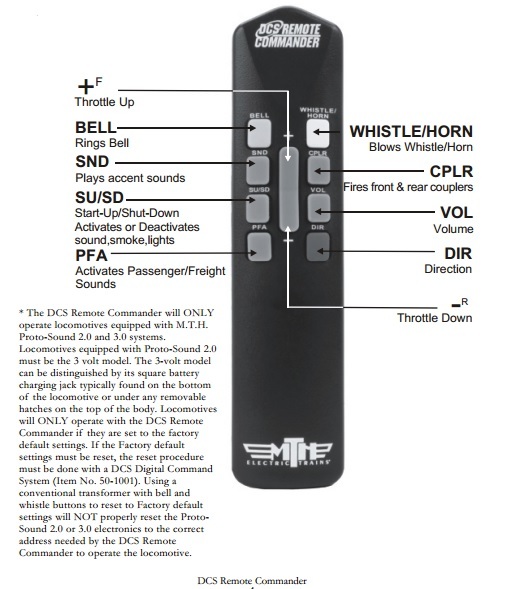 With the DCS remote you can read in English what buttons do, you pretty much don't need to read the manual to get started. Maintenance odometer: Never have to guess when your engine next needs maintenance. 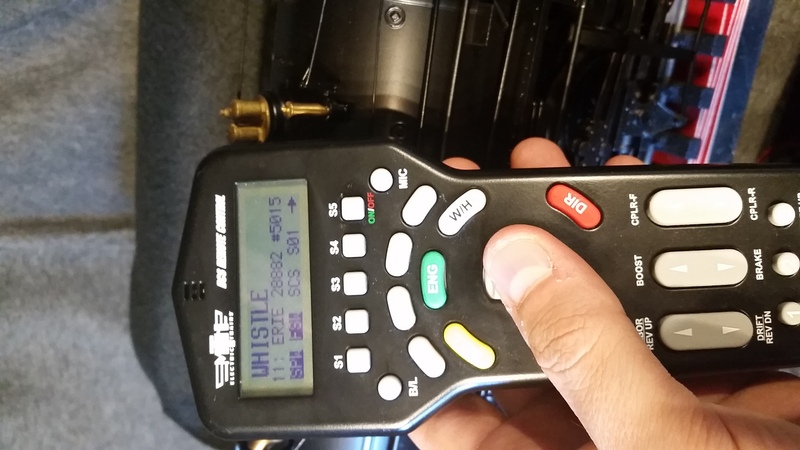 Each engine tracks it's own usage and will display (upon engine start-up) a reminder on the remote when when it's time to perform maintenance. Track Voltage: Instantly find out what the track voltage is at the spot your engine is at right then. This is helpful if you want to quickly check to see if there is power problem. No need to grab your volt meter. Engines can operate on just variable track power: If you don't want to run with the remote, just put the engine(s) on the track without the TIU connected and apply track power and use your throttle. You can still activate the bell and whistle running on variable track power with the remote. Remote is software upgradeable: Meaning additional features and enhancements will be periodically released typically from user feedback. These updates are always Free. These are just a just a few key items, see the overview video series below for a more detail review. PFA or Passenger/Freight Announcements is a feature that you can trigger by pressing the PFA button on the DCS remote. This starts a series of 5 sound sequences that are played one at a time that are manually advanced from one sequence to another by pressing the red DIR button (Change direction/Reverse). You press the PFA button, then wait for the sound sequence to finish, then press DIR, wait for that sequence to finish and so on. Once you are at the end of the last sequence the engine bell will sound, just wait a few moments, then you will be able to adjust the speed on your engine again. You won't be able to change or control the speed of the engine or start it moving until after the PFA sound sequences are complete OR you press the PFA button again to exit/stop the feature. - For engines that are moving: If you press the PFA button it will start the feature. 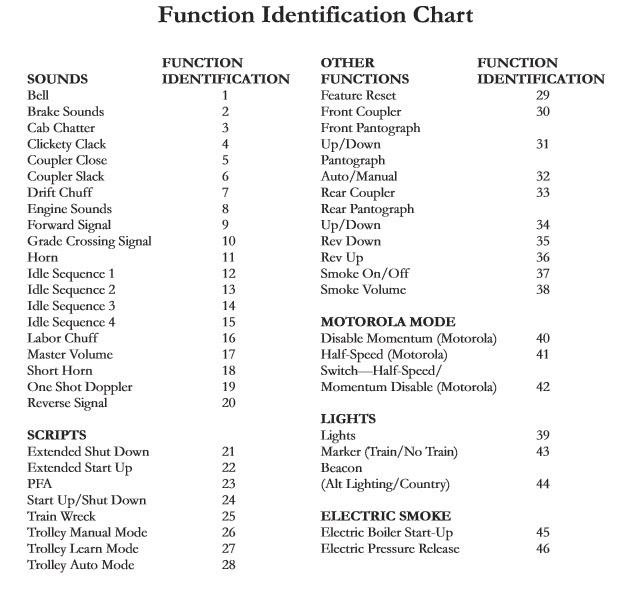 The first time you press the DIR button, the engine will come to a stop and the next PFA sound sequence will start. You won't be able to start the engine moving again till after all the sound sequences are complete. - For engines in a Lash-up: This feature works exactly the same as described in the first bullet. - You can press the PFA button at any time to exit/stop the PFA feature/sequences. To playback music/audio with the Protocast feature, insert a 3.5mm stereo male audio cable end into the Protocast port on the TIU. Plug the other end into the audio output of your favorite audio source. Select the engine you want to play the sound an press the Protocast button (also the number 8) on the remote. 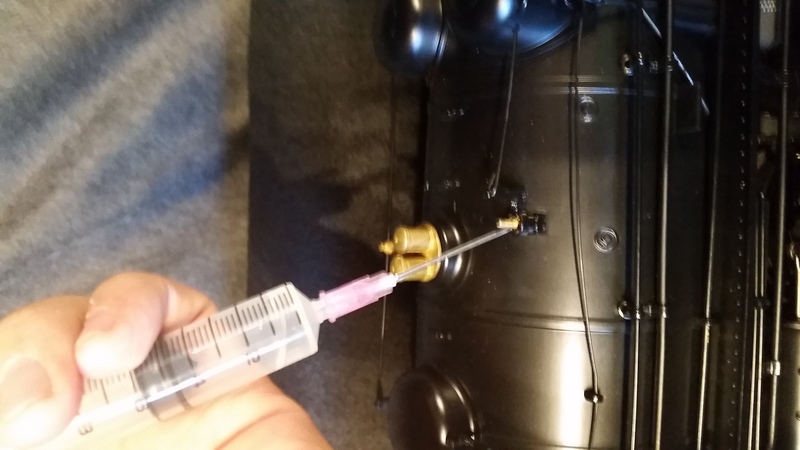 - Step 4: Rotate the thumbwheel up & down to change whistle tone (Three steps of quill are available). - Step 2: Rotate the thumbwheel up & down to change whistle tone (Three steps of quill are available). 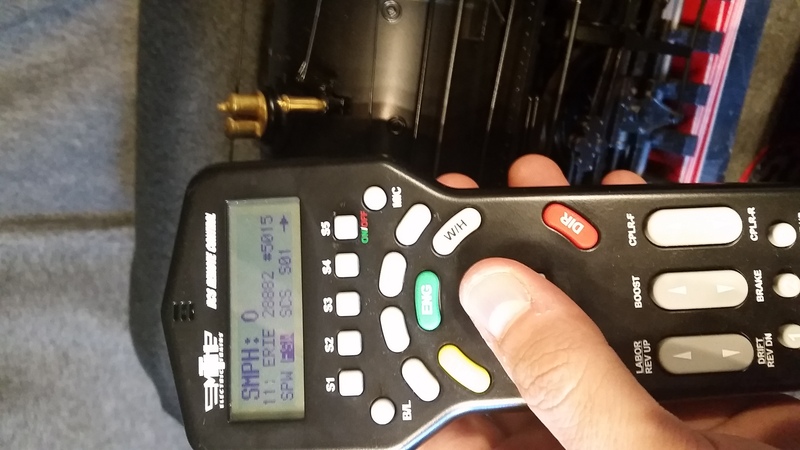 As with operating any PS2 or PS3 engine under DCS in with the remote and TIU (aka Command Mode), when you first apply DCC power to the engine, it will stay in one place with no sound or lights activated. - When you are ready to shutdown your engine just press F3 again. 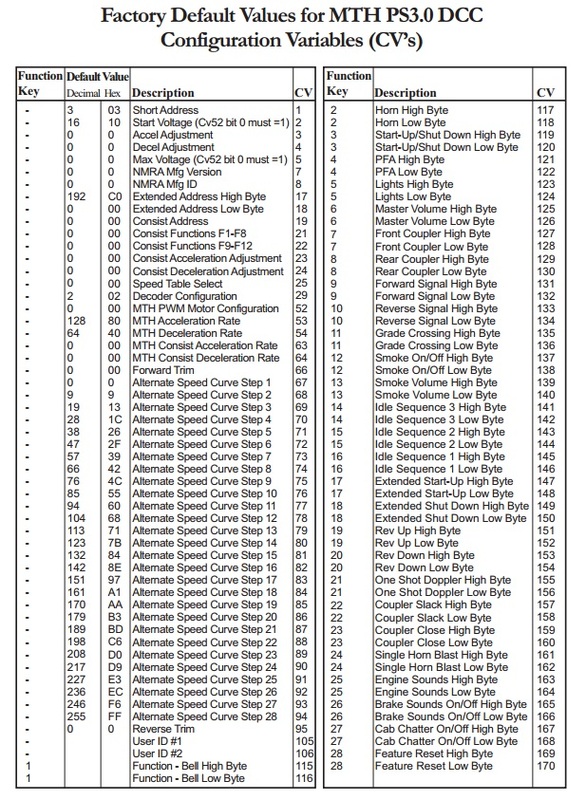 - Protosound 3 engines are compatible with 14, 28 and 128 speed steps. 128 is recommended as each step = 1 SMPH, so w you will get more precise and smoother operation.